Aron brown leather trousers with belt. 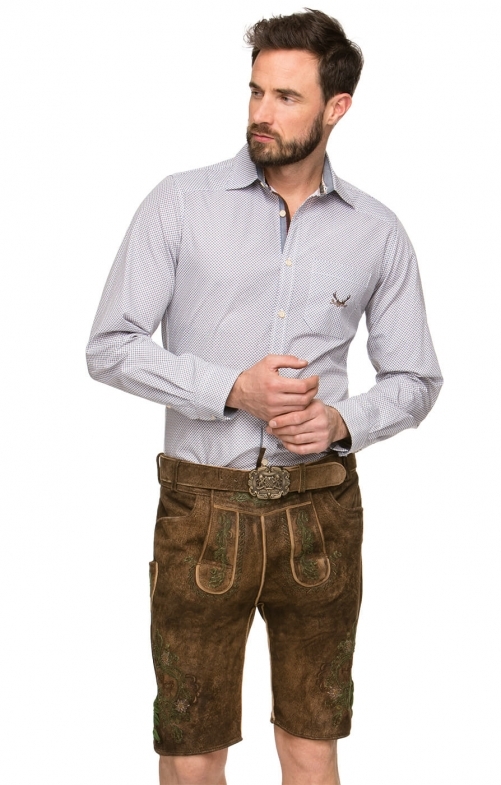 The naturally washed-out brown colour of these high-quality traditional Bavarian leather shorts is highlighted with decorative green embroidery on the front button-up bib and cuffs, while matching green lacing on the cuffs can be adjusted for the perfect fit. A modern belt in matching leather fits through the supplied belt loops.